Present state: The station has been demolished - a single stone block in the undergrowth my be part of the platform. Although the field has been cultivated the station site remains overgrown. Notes: Pittington Station was rebuilt in 1875. 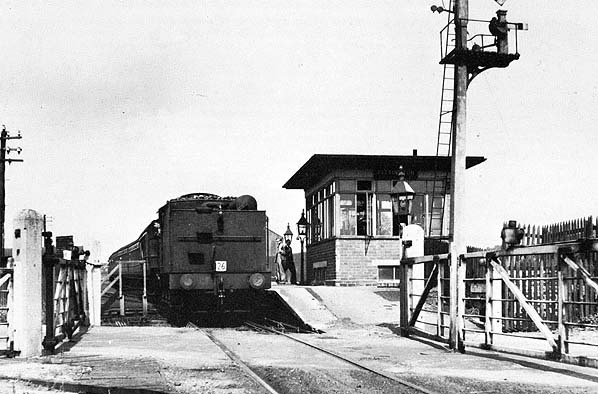 The signal box was on the platform, the original box was replaced by a flat roofed new box around 1948 (seen in the picture below) Further clues to its existence remain in the name of nearby Station Road and in houses called Pittington Station Houses that first appeared on the 1850's OS map. A public footpath and cycleway follows the course of the railway from Hetton - Sherburn but at Pittington it bypasses the station site. 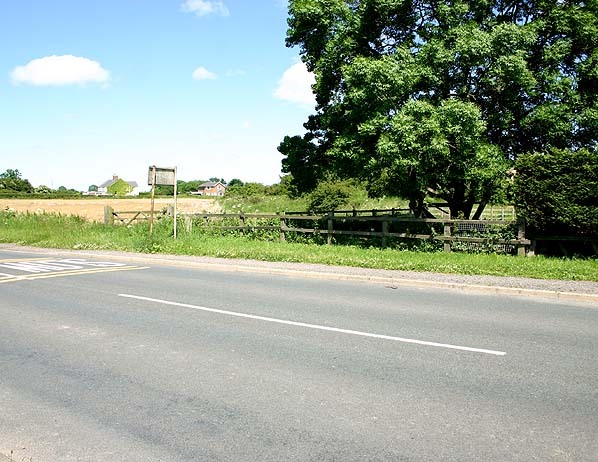 The Hetton to Pittington (and Rainton Bridge) cycleway will also form part of 163-mile Walney to Wear (W2W) cycleway between Barrow-in-Furness, Hetton-le-Hole and Sunderland, which is due to open Summer 2005. BRIEF HISTORY OF THE DURHAM & SUNDERLAND RAILWAY The first line in to Durham came from the east when the Durham & Sunderland Railway opened their line from Sunderland Town Moor to Pittington in 1836. The line reached Sherburn House in 1837 and its terminus on 28th June 1839. However the station was not actually in Durham but at Shincliffe, south of the city. Intermediate stations were built at Ryhope, Seaton Bank Top, Murton and Haswell. Initially the line was rope hauled; this lasted for over 20 years before locomotives were introduced. In 1846 the Durham & Sunderland Railway was purchased by the Newcastle & Darlington Junction railway who obtained an Act for line from north of Sherburn to Shincliffe and on to Bishop Auckland. There was to be a triangular junction for access to Durham Elvet station but the line was never built. In 1846 the N & DJR was renamed the York & Newcastle Railway and the following year it amalgamated with the York Newcastle & Berwick Railway which itself merged with other lines to form the North Eastern Railway in 1854. In 1893 the North Eastern Railway opened a station in Elvet in Durham city. This was served by a new line branching off the old Shincliffe line at Sherburn House. From the 24th July 1893 the service to Shincliffe was withdrawn and the station closed. At the same time Sherburn House Station was resited from the junction onto the new branch. For many years the old station buildings at Shincliffe were used by the Durham Rural District Council Highways Department, it has now been converted into a house. 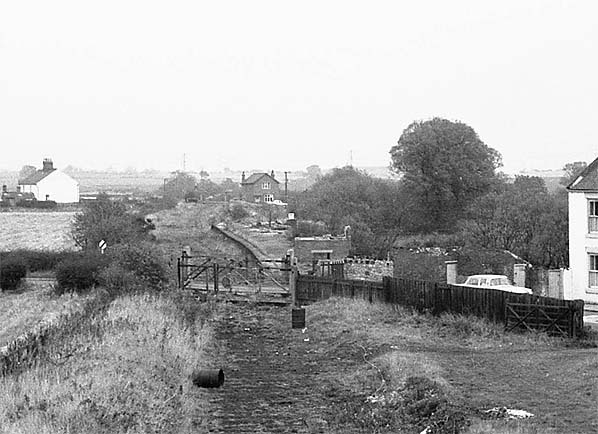 Although the passenger service terminated at Shincliffe the line extended further west to Houghall Colliery before running south to Croxdale Colliery by a farm in Blades Wood between Farewell Hall and Sunderland Bridge. The bridge abutments survive in several places including the crossing of The River Wear at Shincliffe as does some of the embankment either side of the river. The line beyond Houghall Colliery was abandoned in the 1830's. The passenger service to Elvet was not a great success and had a short life of less than 40 years as it was withdrawn on 1st January 1931. The station continued to be used for one day a year (except during the war years) until 18th July 1953. The one day was the famous Durham Miners Gala and on this day special trains were run from most of the surrounding pit villages, bringing miners, their families, bands and banners to the City. One of the last uses to Elvet Station was by a circus that came by train in 1953. Sherburn House station also closed in 1931 but the line to Pittington remained open until 5th January 1953 and the branch from Murton was retained until the late 1950's for wagon storage. Hetton to Sherburn closed to all traffic on 3rd April 1960 and to Murton on 11th November 1963. There was a single track spur from Pittington to Sherburn North Signal Box on The Leamside Line which gave access to the branch until complete closure.